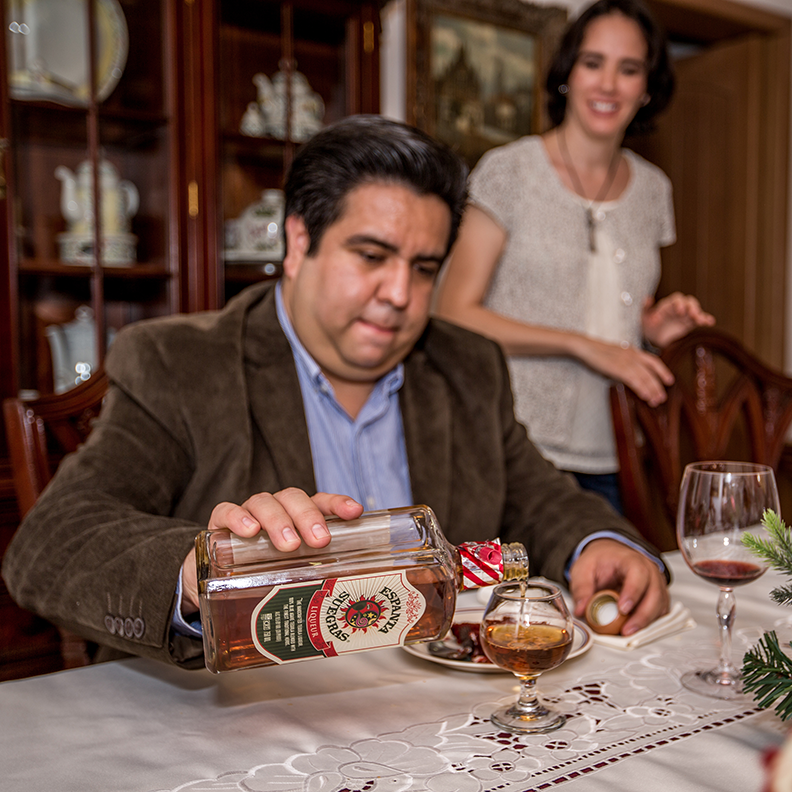 José Luis Nuño Ayala pours Espanta Suergras for the table. The family gathers around the dining table. From left to right: Laura Villaseñor Camarena, José Luis Nuño Ayala, Laura Mendoza Villaseñor, Guillermo Mendoa Tarré, José Luis Nuño Castro and Guadalupe Ayala Martinez. Mom would have been right at home in Mexico, where the largely Catholic country starts celebrating the holidays in earnest with the Feast of the Virgin of Guadalupe (the Virgin Mary) on December 12 – and doesn’t stop until January 6, or the Feast of the Three Kings. One of the most interesting (and delicious) of the festivities is Posadas, which begins on December 16, and continues for the next nine days (until Christmas Eve). The traditional ritual of Posadas includes holding parties every night in a different home, with elaborate call-and-response singing between groups inside the home and those outside on patios, in gardens and even in the street in front of the home. Much of that has fallen away, with only the food-and-drink tradition remaining. 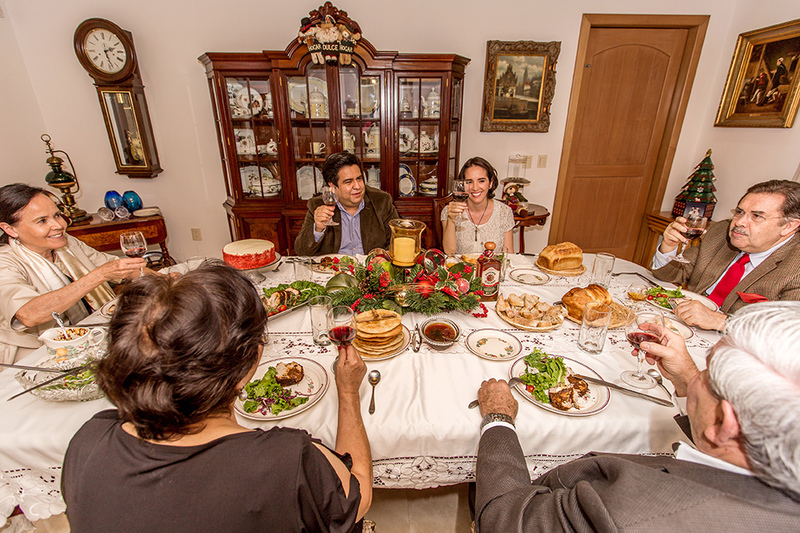 The modern celebration of Posadas is more like a potluck dinner, where guests are assigned a dish to make. These tend to run to the typical Mexican winter foods like tamales, bunuelos (fried dough), atole (corn and masa-based beverage) and bean casseroles. It is from Posadas that the piñata, filled with small gifts, was born. The traditional piñata must be a circle with seven points attached to them, which represents the seven deadly sins. Hitting the piñata represents the fight of good versus evil, and breaking it is an allegory of the good winning and dropping all its gifts to the good-hearted people. In Mexico, it is Christmas Eve, not Christmas Day, that is considered the pinnacle of the holiday season. The most common way to celebrate this night is to gather with family and loved ones. Every family has their own food traditions, but they usually include tamales, chicken, spaghetti, pork legs or loin, beef loin, creamy soups, green and fruit salads, cooked leafy green vegetables and desserts that run the gamut from the aforementioned bunuelos to sweet tamales, flan, fruit cakes and the more common chocolate cake with Christmas-themed icing. In Jalisco (just outside Guadalajara), considered “the land of tequila” where most of the country’s Agave is cultivated, the Mendoza Tarre family presides over a Christmas Eve feast that brings many family members together to enjoy the food, drink and good company. While many of the traditional foods are served, it is the desserts that stand out with this family, well known for making artisanal tequilas and tequila-based liqueurs. Guillermo Mendoza Tarre, whose grandfather Ramon immigrated to Mexico from Barcelona, Spain in the early 1900s, heads this multi-generational family. 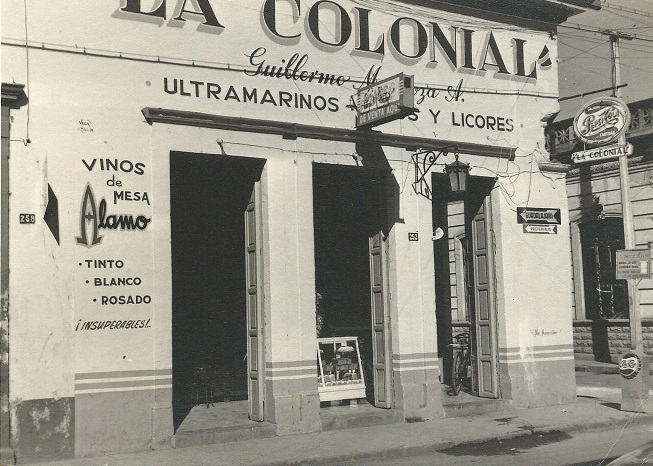 Ramon started making alcoholic beverages in his new home in Central Mexico, and today his grandson and great-grandchildren run the company he founded. 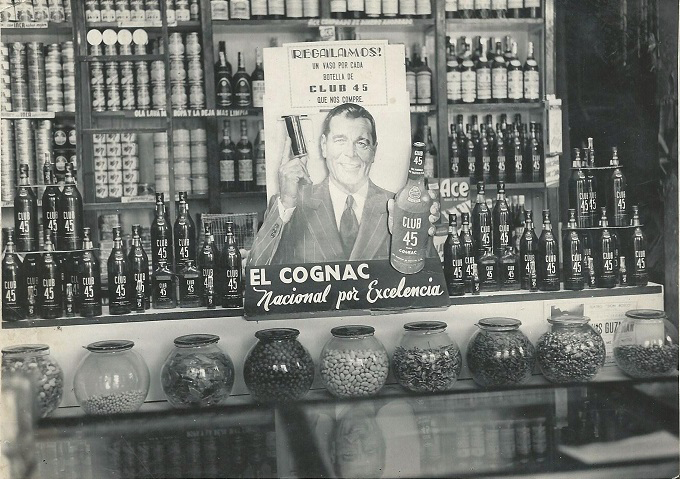 From one of Ramon’s family recipes, adapted from the European-style liqueurs that Ramon enjoyed in his youth, comes a handmade herbal tequila liqueur called Espanta Suergras, literally translated the mother-in-law chasers and named after noise-makers commonly used during New Year’s Eve festivities in Mexico. It is this liqueur, enjoyably sweet with hints of mint, that is the key ingredient of the roasted apples (manzanas asada) that are among the Mendoza Tarre special holiday desserts. It is a simple recipe where firm apples like granny smith, pink lady or gala are cored and peeled, with the Espanta Suergras poured into hole where the core once was. The apples are then sprinkled with sugar and cinnamon, and baked for approximately 20 minutes. These roasted apples, Mexican rice pudding (arroz con leche) and other treats are made by Guillermo’s wife Laura Villasenor Camarena and her daughter Maria Laura Mendoza Villasenor, who also works with her father and brother in the family distilling business. On Christmas Eve, they all gather in the family’s antique-filled living room, with heirloom holiday decorations, like simple Nativity crèches with Hummel-like figurines, and around the dining room table, where candles flicker in centerpieces festooned with pine branches, red and gold ribbons and Christmas balls. 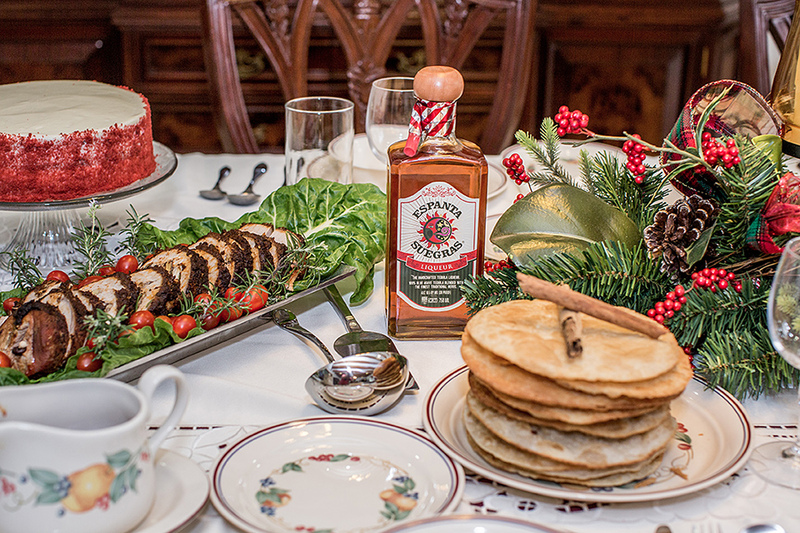 Holiday festivities continue through New Year’s Eve and into January, with parties almost every weekend until January 6, the Feast of the Epiphany. Up until the 1970s, most Mexican children did not receive gifts at Christmas, but on Epiphany (also called the Feast of the Three Kings, who brought the gifts of Gold, Frankincense and Myrrh to the Baby Jesus). Today, most youngsters like Laura’s young son Jose Luis receive presents on both Christmas and on Epiphany, when both the adults and children enjoy the famous “Rosca de Reyes” or King’s Cake, which is baked with a small Baby Jesus figure inside. Tradition holds that whoever is served the piece of cake with the Baby Jesus figure has to buy the tamales for everyone the next day. In the Mendoza Tarre family, they then toast the lucky winner with a glass of Espanta Suergras!